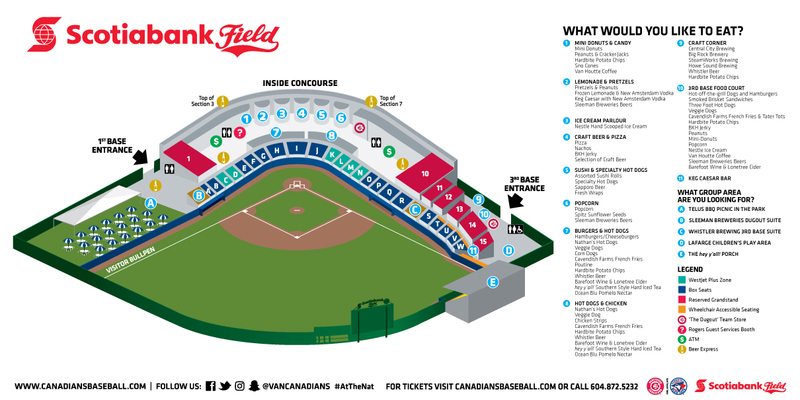 Looking to catch a Canadians game from some of the best seats at Scotiabank Field? Look no further - the WestJet Plus Zone has everything you're after. The seats are so close to the action, you'll feel the breeze from the batter's swing! Fans sitting in the WestJet Plus Zone enjoy some of the best sightlines at Nat Bailey Stadium, and the best part is, you never have to miss a minute of the game. Unique to the WestJet Plus Zone, spectators seated in one of these sections are able to enjoy in-seat food and beverage service with a full menu to choose from. Your cold beer and sizzling hot dog never tasted so good! *Please note, the WestJet Plus Zone sells out quick. Book your seats as early as May 2019!